I often find myself wondering how different Gabe's life would have been if he had a big brother instead of a big sister. For the sake of some good laughter and a lovely Molly girl I wouldn't change it for the world. 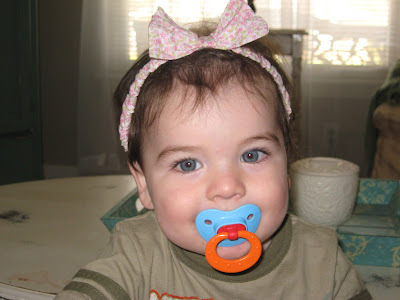 As a big sister, I always put my brother in bows and pony tails. Teasing is fun!